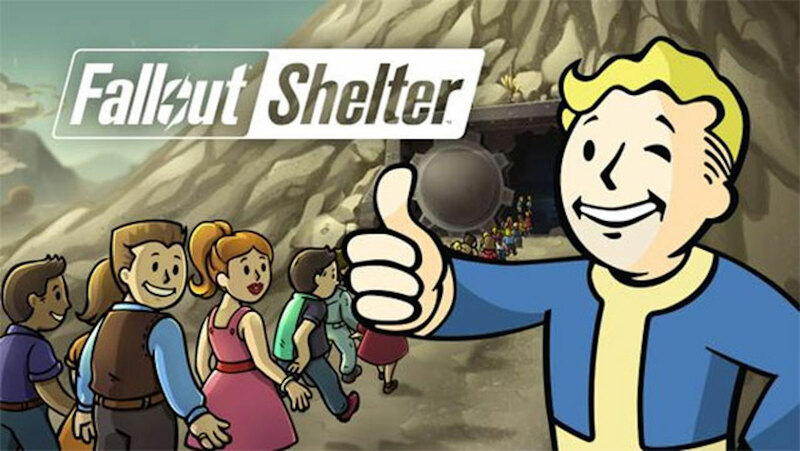 The only low point of Todd Howard's E3 presentation was having to wait for Fallout Shelter to be released for Android devices. Now that the wait is over, I'm happily lording over my vault dwellers; assigning them jobs, dressing them in various outfits and sending them out into the wasteland. As invested as I've been in the Fallout universe, I'm always curious about any new approach to it. 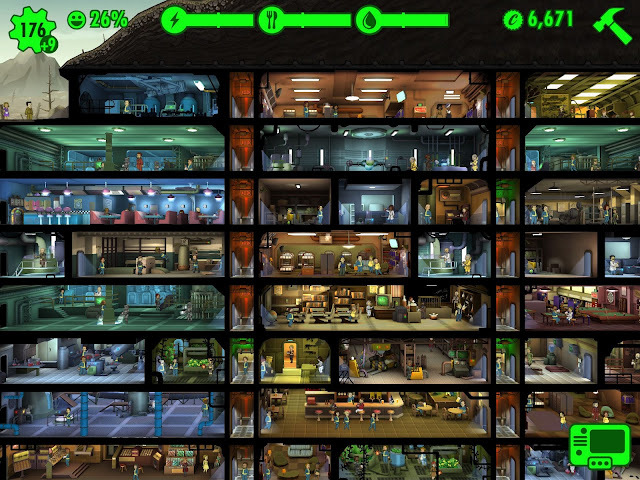 Fallout Shelter blends the RPG with elements of The Sims and Sim Tower (that's right, I went way back). I've had a lot of problems with mobile games in the past. As much fun as I've been told they are, I have found very few to capture my attention for long. The notable exceptions have mostly been ports of old console games (I'm a sucker for Metal Slug) or indie PC games. Every other attempt I've made to play mobile games has ended quickly. I abhor the constant nagging ads and the requirement to spend real money to progress in games like Clash of Clans, Candy Crush, Jurassic World, Dungeon Keeper or really any number of other mobile games. I understand that these "free to play" games aim to make money; it's their approach to making these funds that dissuades me from playing their games. I don't have a lot of money to spend on games and I fail to see the draw of spending what little I have on pretend money that has only one use. Fallout Shelter takes aim at these practices by providing a free to play experience without any of the nasty issues rampant in the mobile arena. The only thing I've been interrupted by asked me to rate the game, which I did and wont have to worry about seeing again. Item packs are available for purchase, but they are tucked away in the pip boy menus and only pop up when you call them. It's the kind of approach that I wish more games would take. I can't think of anyone that isn't put off by a bombardment of ads or requests to spend more, so the no-hassle feel of Fallout Shelter is a welcome reprieve. Playing Fallout Shelter is one of the more addictive experiences I've had with a game in a while. My vault dwellers peter about their various stations, diligently dealing with raiders and radroaches as they appear. Between those occasional issues and making sure each dweller is working the appropriate job for their talents, I'm starting to sympathize with all those overseers that went mad.